I can't believe I didn't make one single post in November! 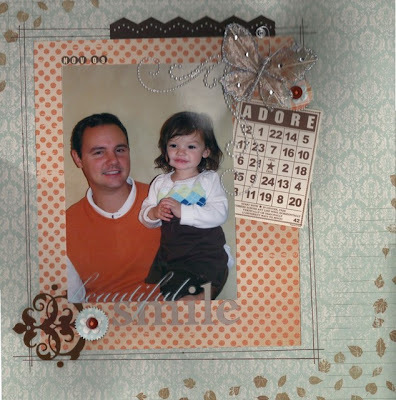 It was a busy month with the girls' birthday party, Thanksgiving, and gathering together with our families. I have some exciting news! 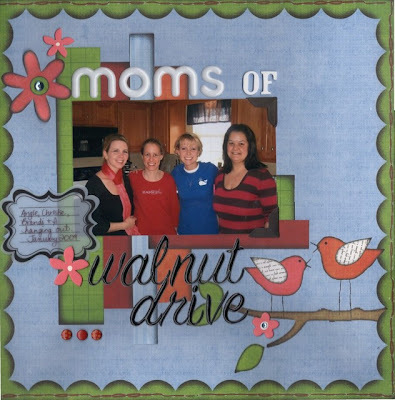 I made the Design Team at Scrapbook Sussies! I can't wait to get my first kit to work with! Sussies is a two sided kit, so it's like getting two kits in one. Every kit has a retail value of at least $36.00. December is sold out, but there may be some January kits available. These are my friends that all live in our development on my street. Kinsey is getting so big! She's turning into quite the little girl. 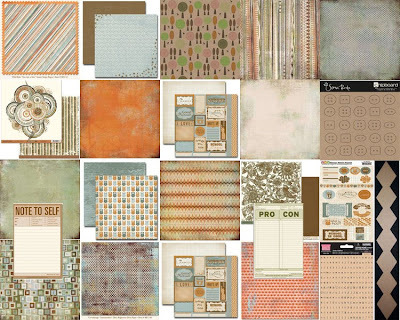 I just love this Basic Grey Nook and Pantry paper. 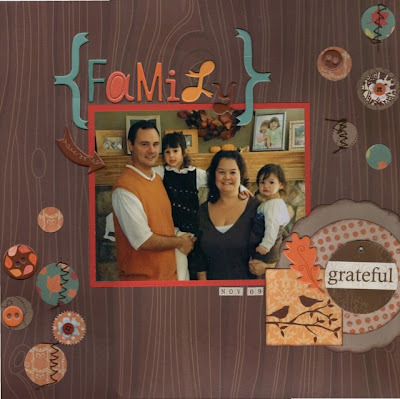 This one is a scraplift from Scrapbook Trends October I think. 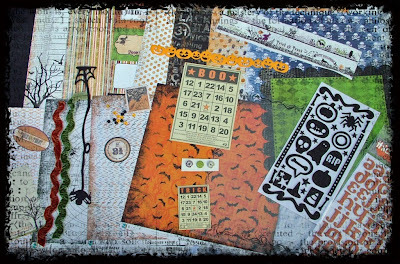 It uses Scraptacular's November kit of the month. This is the picture I ended up using for our Christmas card. This is also the first time I used a sewing machine to sew on a layout! This is one of my favorite pictures ever! 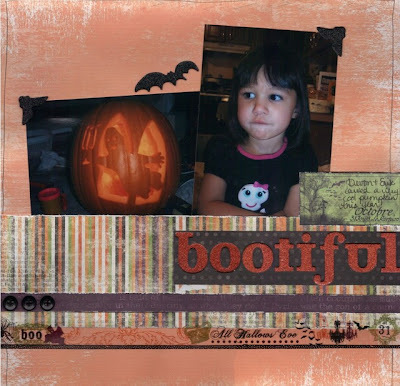 It also uses the November Scraptacular kit of the month. Thank you so much to everyone who donated money to the Make a Wish Foundation! We had 60 tickets in the pot and I just pulled the winner. Congratulations to Jennifer Hausman! 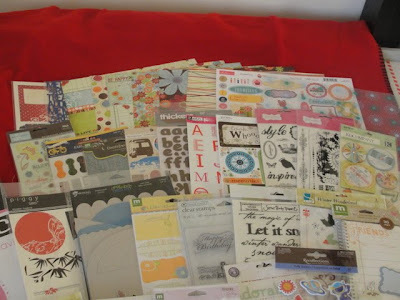 You just won a boatload of scrappy products! Enjoy! Between the raffle and regular donations, we raised more than $400.00. There are so many inspiring activities going on right now. 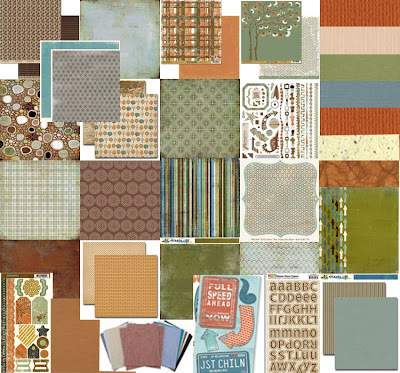 One in particular is Fall Into Fall at Color Me Daisy. 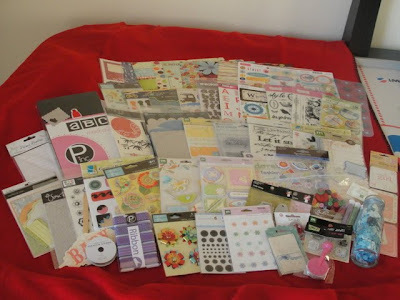 Each day they are posting a challenge and lots of prizes are being given away! Here are just 2 of the projects I have made so far. In this one we had to make a flower from a piece of ribbon. I LOVE this technique! 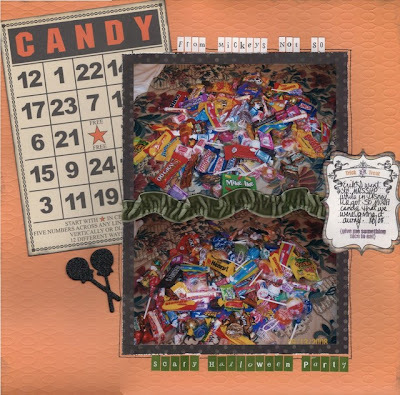 Make a Wish Foundation Scrappy Goodie Basket Raffle! My husband and I are participating in a Wellness Challenge at our local gym that benefits the Make a Wish Foundation. The contest runs from Sept. 17-Oct. 29th. Our goal is to visit the gym frequently to participate in game card activities where we earn points and raise money to help grant the wish of Alison, of Berks County, PA.
Alison has acute lymphacytic leukemia and her wish is to go to Disney World to meet Snow White and Cinderella. 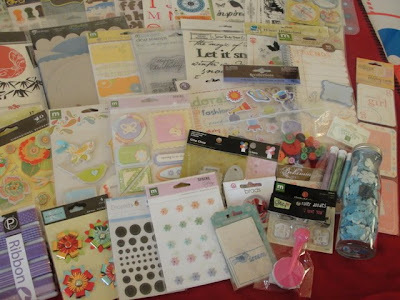 To help our team raise some money, I've put together a huge basket full of scrapping goodies! I am going to raffle off this basket and will be adding goodies to it if I hit certain goal amounts. I will be putting all tickets into a big bowl, and will pull one winner. 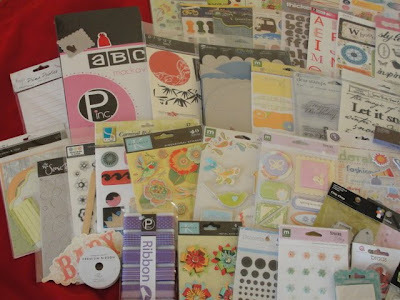 And if the donation amount reaches $250.00, I will add a complete August Scrap Attack Scrapbooking Kit! I will pay shipping to the winner if the winner is not local to me. Even if you can't donate, please help spread the word by posting on your blogs or other message boards where allowed! Also, be sure to become a follower of my blog so you know if you win! I'll post the winner here! Thanks, and please let me know if you have any questions! 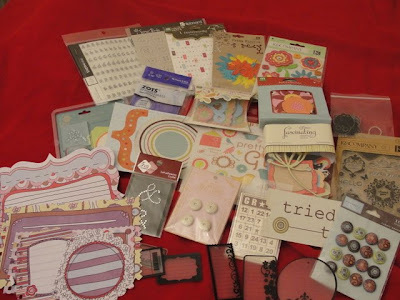 I was able to attend the Scrap Pink event that Scraptacular hosted, and got alot accomplished! A few weeks ago, I also went to a day crop at The Hamburg Hideaway. 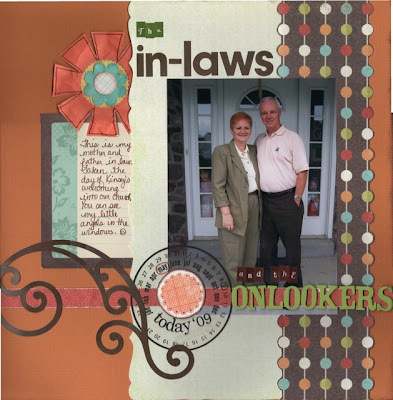 This first layout was done using a sketch. 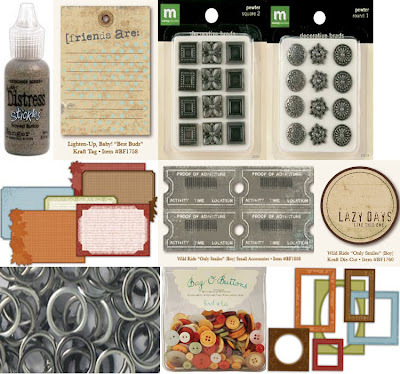 I bought the Tim Holtz edge distresser and am IN LOVE with it! It works great! Here's Kinsey with my mom. 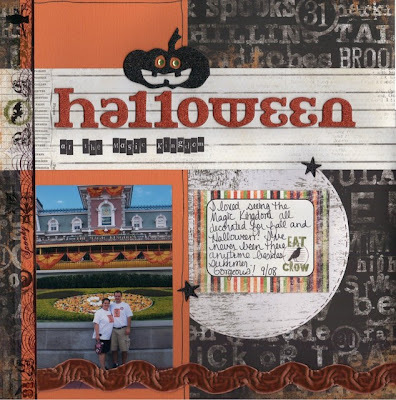 Next is one I did for a Guest Design Team call at Back Porch Memories. It uses an exclusive sketch from Becky Fleck. It's Kinsey while we were at the beach this summer. 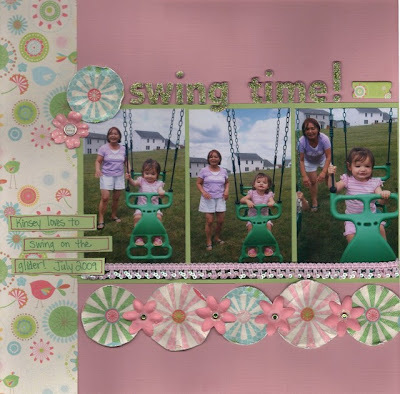 I did this one for the monthly contest at Transparent Touches and Tags. It also uses a sketch. I hadn't realized my girls were peering out the window when I took this picture, so you can see them on either side of my inlaws! This last one uses a sketch by Jana Eubank. 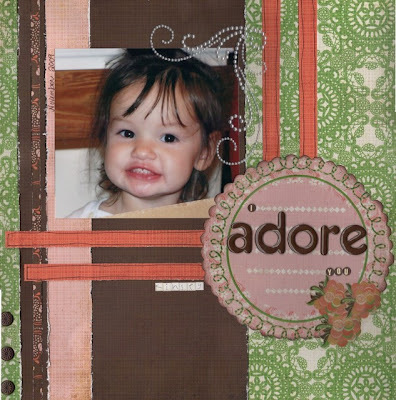 I just love this paper! It uses a TTT kit. Here's Devon during a photo session while we were at the beach. 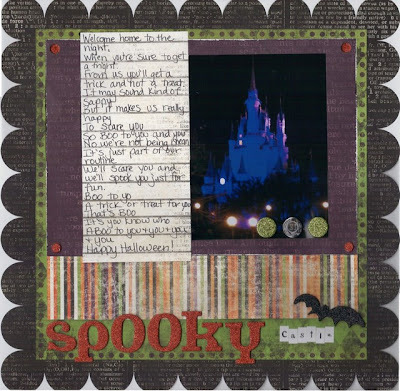 Scrapperie's September kit is perfect for those fall pictures, or those wonderful men/boys in your life! Here are the Essentials available for $30.00. Here are the Extras available for $20.00. 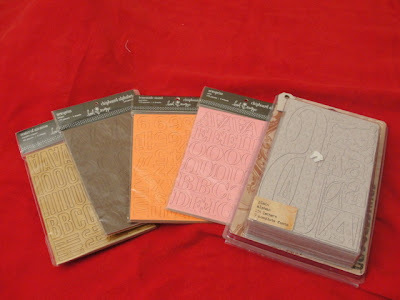 And here are the Trimmings, available for $10.00. Or you can also get the whole shebang for $57.50. There are also several add ons available on the site. Be sure to check it out! 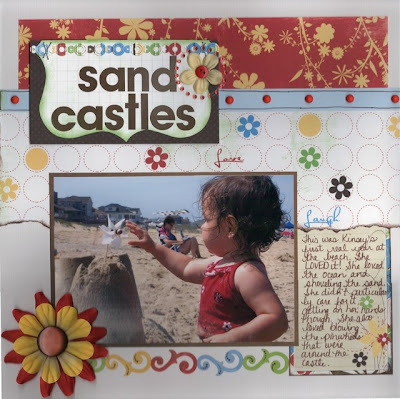 Top Shelf Memories is a monthly scrapbooking kit club that debuted in April 2010. We strive to offer kits packed with the latest and greatest manufacturers, at a reasonable price. There are normally 2 kits offered each month--1 girl themed, and 1 boy themed, with the occasional special edition kit. 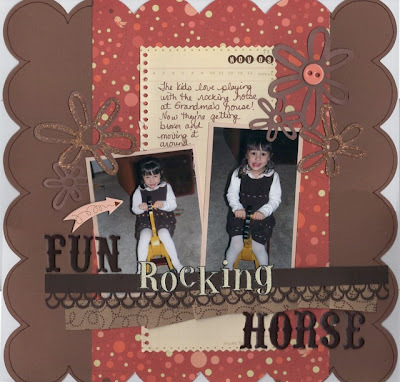 Come visit my scrapbook retreat house! Now I get to play catch up!